The “Last Post” guys did a really great job on the octagonal decking, fast, precise and accurate. A really excellent job and I’m very pleased with the result. 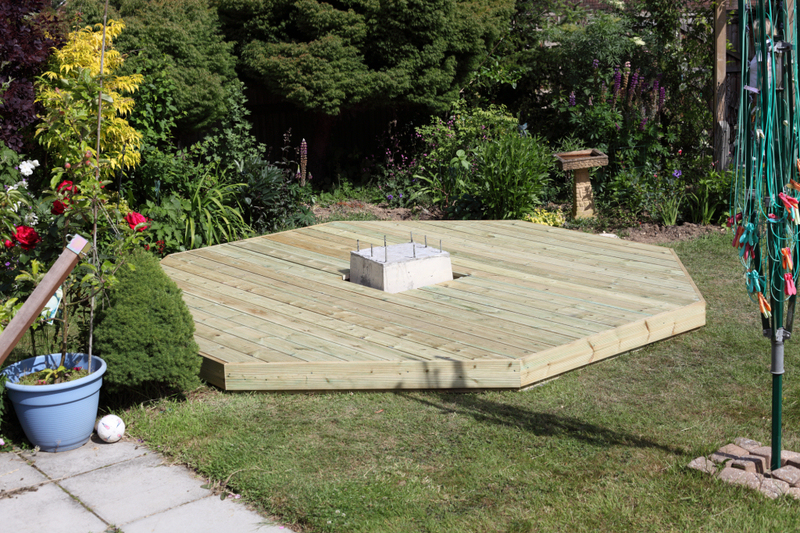 So I now have a 12-foot wide octagonal deck ready and waiting for the Pulsar Observatories dome. The mini-WASP project is pushing full-steam ahead! I’ve been looking forward to this for some time. It’ll be good to see the mini WASP up and running. Can you give us an idea how much longer? First light will be some time between mid-July and mid-August.